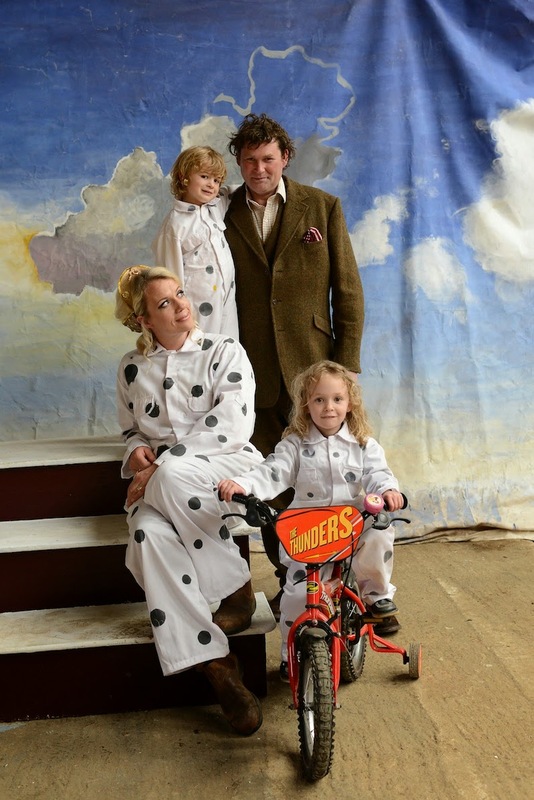 For the last decade, the highlight of the summer for my family has been Giffords Circus coming to town. From May onwards, the 1930s inspired circus travels around the Cotswolds with their unique brand of family and animal friendly fun packed up in vintage caravans. 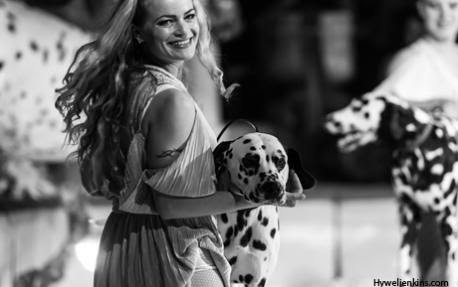 This is not the kind of circus that shows wild animals: the only creatures at Giffords shows are horses, dogs and occasionally the odd duck or goose that wanders into the ring from backstage. My sister Phi being an usherette at Giffords Circus! My siblings and I have grown up with Giffords Circus - I had my 21st birthday party there with guests dining alongside the circus troupe backstage after the show: fresh local food served on starry Emma Bridgewater crockery. Last year my sister even interned there as an usherette and dancer. Emma Bridgewater is actually Nell's sister! Giffords is the brainchild of Nell Gifford, who first ran away to the circus when she was 18. She made time to come back to reality long enough to get a degree from Oxford university, but then was straight off to the circus again after graduating. Nell has just written a book about the first ten years of Gifford's Circus, an altogether family affair which she runs with her husband Toti Gifford, with the help of their gorgeous twins, Cecil and Red, who regularly perform in the shows with their tiny pony. Jugglers Bibi and Bichu are their godfathers. It's all like something out of a fairytale. You can see some behind-the-scenes photos from their idyllic life here on Nell's blog- and buy 'Giffords Circus: The First Ten years' for the full story. Of course running away with the circus sounds very glamorous, but as with all show business, the reality involves a lot of hard work. Red and Cecil's tiny pony Tom! Vogue has referred to Giffords Circus as 'possibly the greatest show on earth'. So...no pressure then! I asked Nell how she manages to keep coming up with the goods. 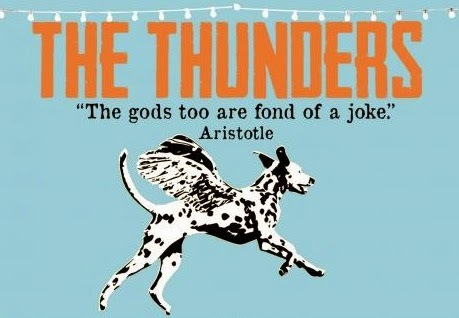 Animals are always a huge part of the Giffords experience, and this year's show The Thunders, inspired by Ancient Greek myths, is no different. Domino and Tarquin in action! One of my favourite photographers Ellen Von Unwerth shot this glorious video for Lula magazine, which I think truly captures the spirit of Giffords. 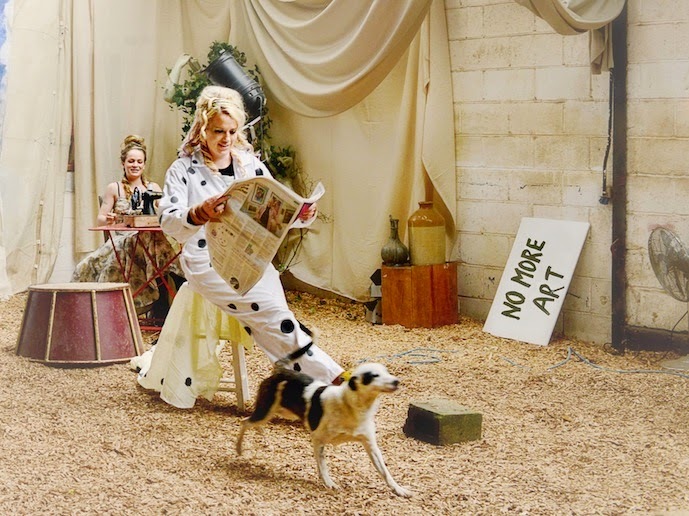 Giffords Circus By Ellen Von Unwerth from nathan guillaumey on Vimeo. Giffords Circus are touring their new show The Thunders until mid September - see if they're coming to a village green near you by checking their schedule here.